From riding with your friends, going on day long adventures, or participating in century rides, the Orbea Avant H30 has you covered. Take your riding to the next level with a true road bike. 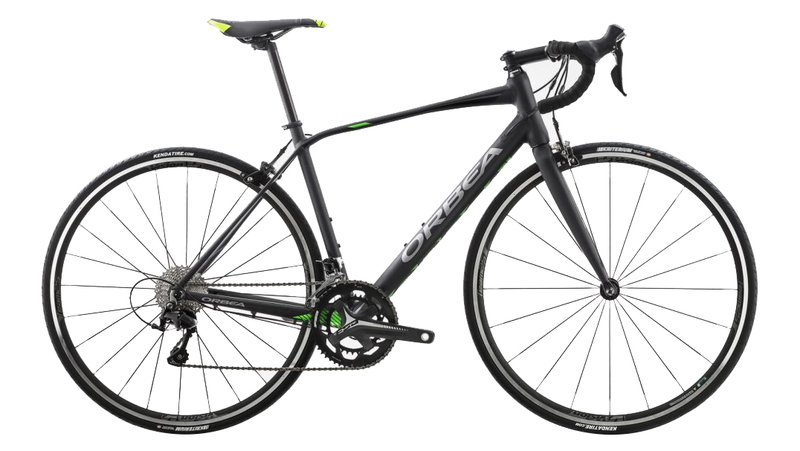 Built around a hydroformed triple butted aluminum frame, carbon fiber fork, and the renowned 11-speed Shimano 105 groupset, the Orbea Avant will make you fall in love with the sport of road cycling. The H30 was built to be durable, stiff, and light. Every tube has been manipulated to enhance strength, reduce flex, and dampen vibration. Hydroformed tubing allows low stress areas to be thinner while still retaining the same strength and stiffness. Every tube diameter, shape, and thickness is intentional to create a truly amazing bike. First real bike, review 6 months after purchase. Thank you Jenson, this has been an awesome bike! Came undamaged, but the assembly was maybe 95% favorable. I wish the technician would've fixed the stiff link, but it's all good. Since I bought it a bit before the winter, I lost out on some riding time. I've managed to put around 1K miles on it and with regular cleaning and oiling, it's been a dream to ride. Even that stock saddle isn't bad, I knocked out a 60 mile ride on it. I'm 5'9" 225 lbs. so I'm definitely on the heavier side. Not once has it seemed like this bike has poor welding or anything like that. Rock solid! I know it's not a full 105 setup but I'm still pleased, plus this was the most I could afford at the time of purchase. Everything always works, very smoothly. I can live with rim brakes, they're perfectly fine for my usage. I did weeks of research and took a gamble versus perhaps getting a better fit at a LBS, but hey, I saved a lot of money and I think I ended up getting a bike that's very comfortable. I also dig the fact that I'm one of the few riders in my area riding an Orbea. If I get another bike down the road, I'm buying another one from these guys. Stellar product! The bike arrived in perfect condition and thanks to your packaging was easy to unbox and set up. Love how it shifts (as you would expect from a 105 groupset). On a trainer now waiting for better weather for its first outside ride. So, I am (so far) completely happy with this purchase and very pleased to have gotten this bike for such a good price. 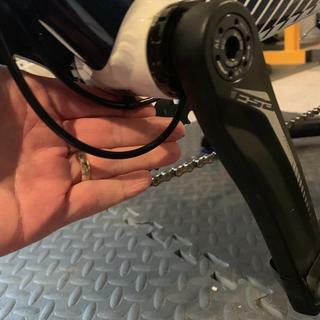 Just one little thing about the bike assembly…. Poor routing of shifter cables on otherwise beautiful bike. BEST ANSWER: The maximum size tire that Orbea recommends to run on the Orbea Avant is a 700x28c. Give me a call and I can get one on order for you today! Keep Pedaling!